Goodreads Summary: After escaping from Evernight Academy, the vampire boarding school where they met, Bianca and Lucas take refuge with Black Cross, a fanatical group of vampire hunters. Bianca must hide her supernatural heritage or risk certain death at its hands. But when Black Cross captures her friend—the vampire Balthazar—hiding is no longer an option. Soon Bianca and Lucas are on the run again, pursued not only by Black Cross, but by the powerful leaders of Evernight. Yet no matter how far they travel, Bianca can't escape her destiny. Bianca has always believed their love could survive anything...but can it survive what's to come? My Take: Wow! This book was so good. I was enthralled from the time I picked up this book until I was finished. Claudia Gray is such an amazing writer. I really had no idea where she was going to go with this book and I was really caught by surprise. 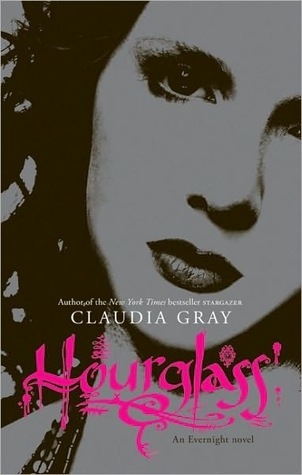 What I really love about the Evernight series is they are they extremely intese throughout and Claudia Gray doesn’t take the happily ever after approach that you would expect. There was something mind-blowing that happens in the book that I saw coming but I was in denial (I was really hoping it was going to be prevented). This book ends with the type of cliffhanger I am getting from a lot of books lately but it didn’t spoil the book for me. I would have to say Evernight is definitely one of my favorite series.